Sequins are so hot right now, especially at this festive time of year. 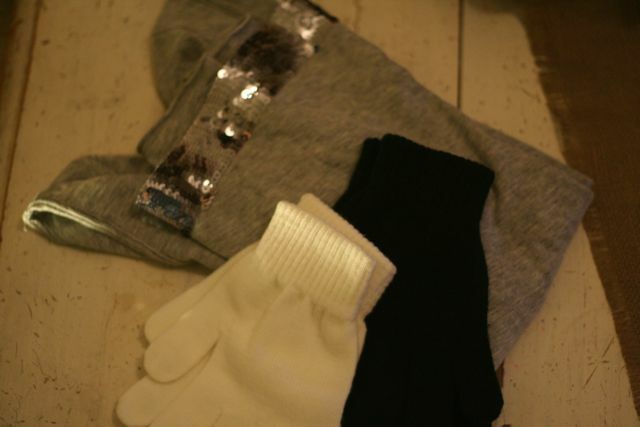 I found this shirt at the goodwill with a band of sequins around the bottom and decided to update a pair of new gloves. 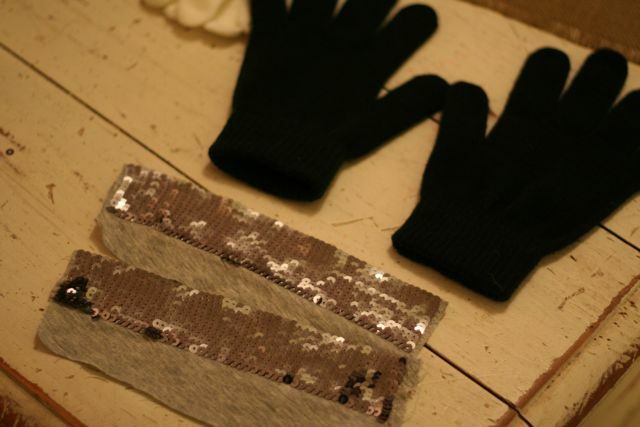 So I bought some cheap gloves from Target and made my own sparkly gloves. I love how they turned out and I hope you do too. 1. 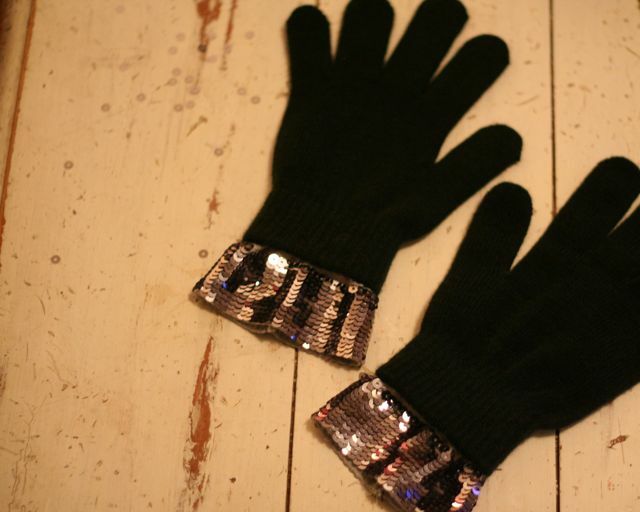 Cut a piece of sequin material to the size of the glove opening when its spread open. 2. 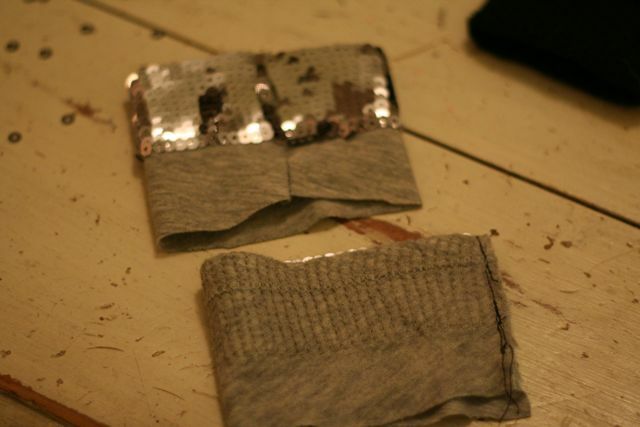 Using a sewing machine, sew the right sides together, making sure there is enough room to sew without hitting the sequins but also close enough so that the seam is hidden. 3. Using a needle and thread, sew to the inside of the gloves. 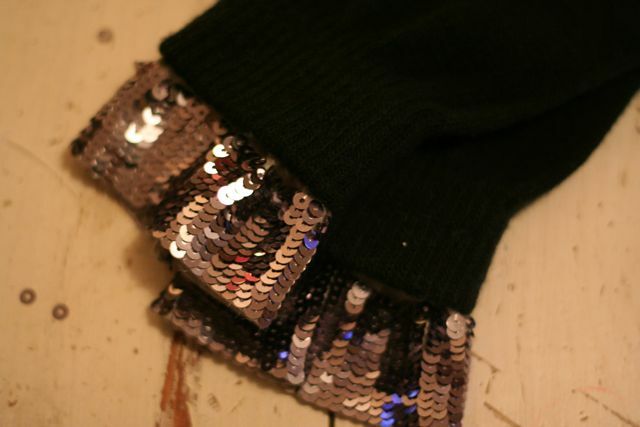 I used a large bangle bracelet inside the glove so I could sew on the sequin extension. Its very important that the glove be stretched when sewing because the gloves need to stretch open to put them on. Enjoy as your own or give as a gift! This entry was posted in Check this out!, Christmas, DIY, Holidays, I made this!, Recycled, tutorial on December 1, 2010 by Deanna.